Looking for quality Premium Lump Charocal for your smoker? 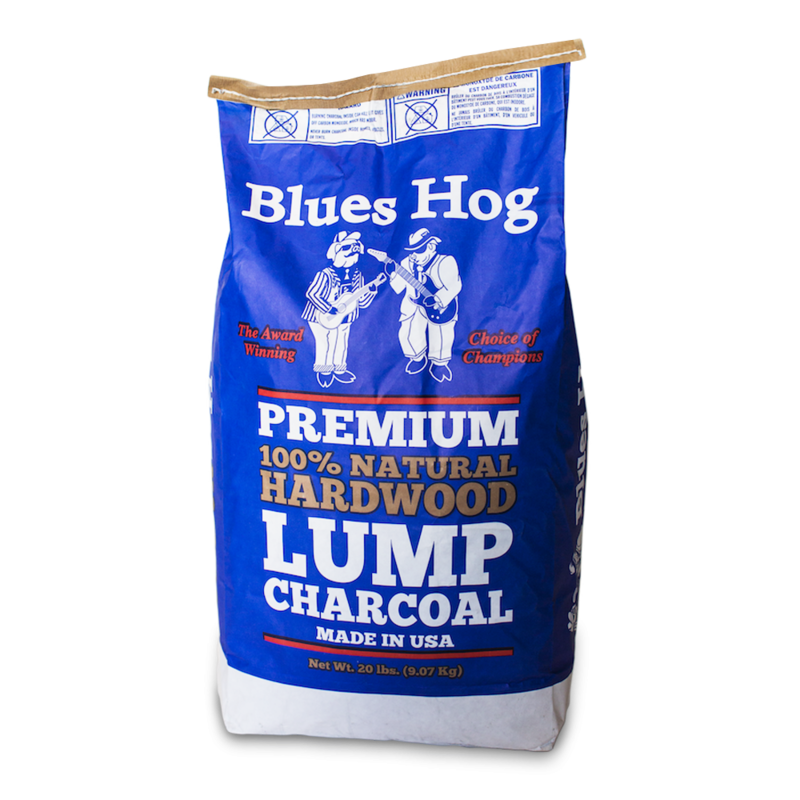 Blues Hog Natural Lump Charcoal is exactly what you need. 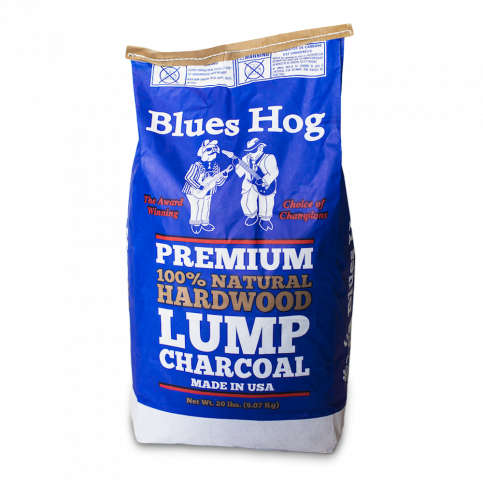 Blues Hog Natural Lump Charcoal is 100% natural and USA made. It's been sustainably sourced from fallen trees and this BBQ charcoal burns slower than other brands giving you a longer cook time. BBQ Competiiton teams across the competition circuit use Blues Hog Lump Charcoal to achieve blue ribbon results. It's always a hit at the King of the Smokers Invitational BBQ competiton; All of the teams love it! Start cooking with quality charcoal with Blues Hog Premium Lump Charcoal; Charcoal that will help you achieve the best BBQ results. Pro tip: Order at least $75 worth of charcoal, rubs, and sauces to qualify for free standard shipping! - Stock up on your favorite products!